Hi! Mary Nasser here! 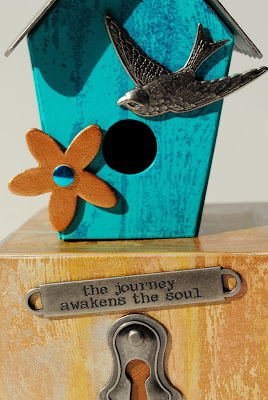 For today’s project, I wanted to create an inspiring Artist Trading Block (ATB for short!) with a little bird house on top! 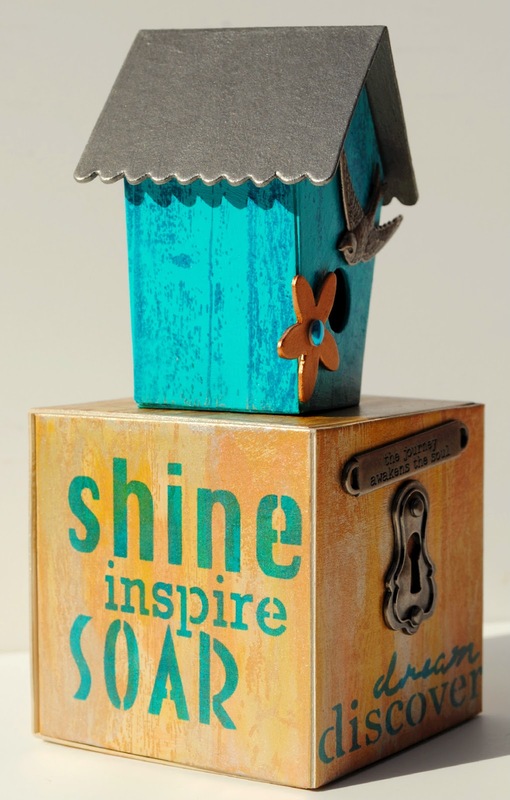 I used Carolyn Dube’s Now Is The Time small and Now Is The Time large stencils, Eileen Hull's Barn Wood stamp, and a box and birdhouse from Sissix! For the box, I began by painting the entire surface with unbleached titanium acrylic. Once that dried, I used the Barn Wood stamp and StazOn Metallic Ink in Copper over the entire surface, too. 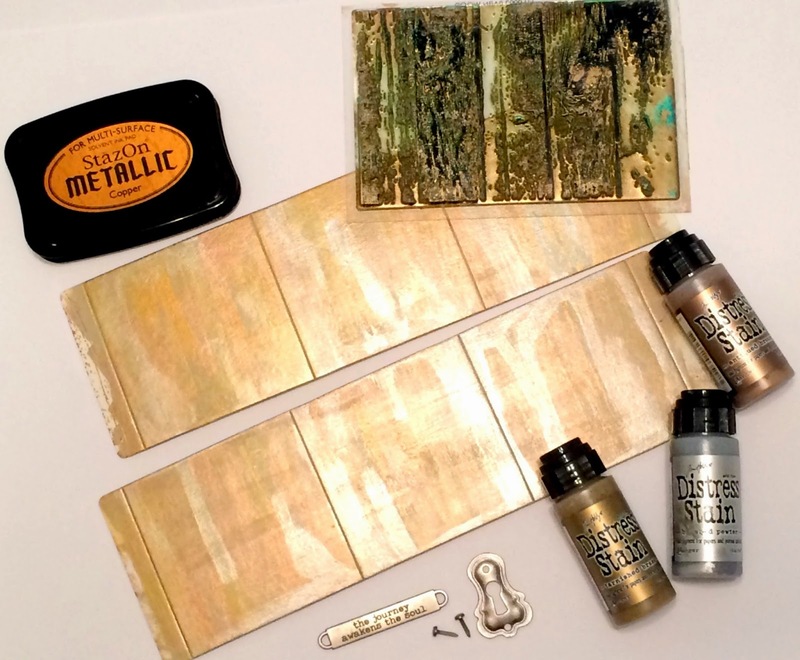 I added Tim Holtz Distress Stains in Brushed Pewter, Tarnished Brass and Antiqued Bronze. Then I used a mini sponge dauber to apply Teal Blue StazOn through portions of Carolyn’s stencils. Post-it notes helped mask off areas of the stencil around the words I used. I also laid out some metal ephemera I was considering adding (Mary Beth calls this "auditioning" parts for a work!). 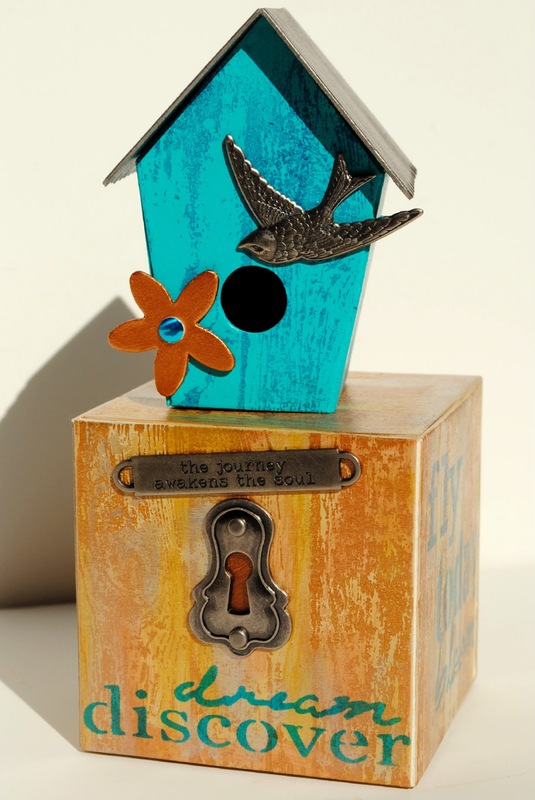 For the birdhouse, I began by painting the entire surface with cobalt turquoise acrylic. Once that dried, I used the Barn Wood stamp and StazOnTeal Blue over the entire surface, too. I placed a small matte board flower I’d painted copper and a metal ephemera bird on the surface to "audition" these elements. 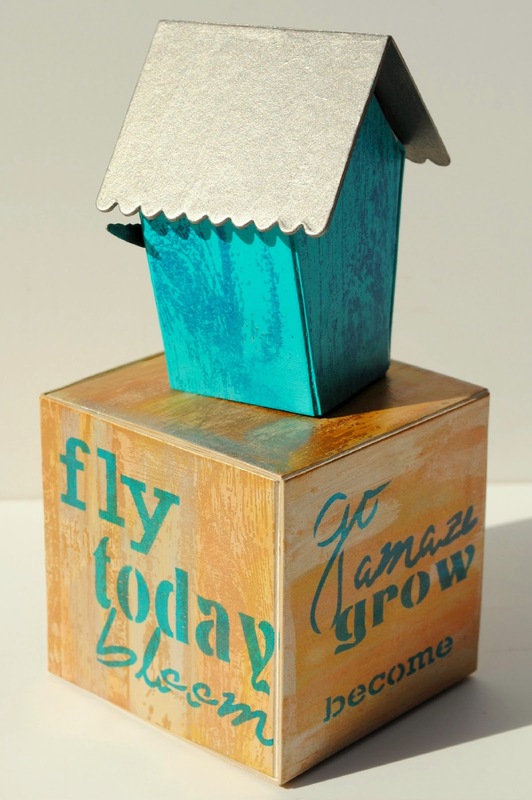 Once I finished painting these, the box and birdhouse were easy to assemble with double-sided adhesive tape! and added a teal gem decal onto the center of the flower. My last step was to adhere the birdhouse to the top of the box with more double-sided adhesive tape. I LOVE this!! This project is so inspiring! Love birdhouses and love what you made here! Thanks, Michael! That means a lot to me! Love these stencils by Carolyn Dube...so inspiring!